Pioneers in the industry, we offer mulberry handmade papers for scrap booking, gift and crafts, marbled papers for gift wrap, scrap booking and crafts, marbled papers for scrapbooking, gift and crafts, handmade marbled papers, marbled papers for gift and crafts and gift wrapping and handmade marbled papers from India. We manufacture a large range of handmade mulberry papers. Our mulberry handmade papers are available in a variety of colors, finishes and sizes. Our mulberry handmade paper is made from pure mulberry fibers. Our mulberry handmade papers are available in sizes of 22*30 inches. . Mulberry handmade paper is available from 60 gsm onwards. Mulberry handmade paper is also available with deckle edges. Our natural mulberry papers are very popular worldwide. We also manufacture mulberry papers in various bright colors. Mulberry handmade papers are made from the waste fibers obtained from the mulberry trees. 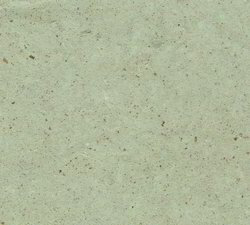 Mulberry handmade papers are available in rough, smooth and textured finishes. Mulberry handmade papers are used for making paper bags. We manufacture a large range of papers with marbling. Our hand marbled papers are made in a variety of styles, colors and patterns. Our handmade marbled papers are available in sizes of 22*30 inches we can also manufacture custom made marbled patterns. 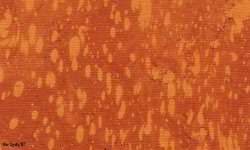 Marbled papers are also manufactured in various gsm’’s of paper. Marbled handmade papers are used for gift wrapping, making bags and boxes. We have also supplied marbled paper for book covers. Marbling is the beautiful art of playing with water and oil paints to create wonderful textures on papers. Handmade marbled papers for scrapbooking, gift and crafts and gift wrapping. We manufacture a large range of papers with Marbling. Our Hand Marbled Papers are Made in a variety of Styles, Colors and Patterns. Our Handmade Marbled Papers are available in sizes of 22*30 Inches We can also manufacture custom made Marbled Patterns.Marbled Papers are also manufactured in Various GSM’’s of Paper. Marbled Handmade Papers are used for Gift Wrapping, Making Bags and Boxes. We have also supplied Marbled Paper for Book Covers. Marbling is the beautiful art of playing with water and oil paints to create wonderful textures on papers. Our Most Popular Designs are our Swirls on Marbled Papers. We are also manufacturing Spotty marbled Papers. We manufacture a large range of papers with Marbling. Our Hand Marbled Papers are Made in a variety of Styles, Colors and Patterns. Our Handmade Marbled Papers are available in sizes of 22*30 Inches We can also manufacture custom made Marbled Patterns.Marbled Papers are also manufactured in Various GSM’’s of Paper. Marbled Handmade Papers are used for Gift Wrapping, Making Bags and Boxes. We have also supplied Marbled Paper for Book Covers. Marbling is the beautiful art of playing with water and oil paints to create wonderful textures on papers. We are also manufacturing gold , silver marble printed paper. Our most popular designs are our swirls on marbled papers. We are also manufacturing spotty marbled papers. We manufacture a large range of papers with marbling. Our hand marbled papers are made in a variety of styles, colors and patterns. Our handmade marbled papers are available in sizes of 22*30 inches we can also manufacture custom made marbled patterns. 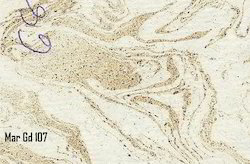 Marbled papers are also manufactured in various gsm’’s of paper. Marbled handmade papers are used for gift wrapping, making bags and boxes. We have also supplied marbled paper for book covers. Marbling is the beautiful art of playing with water and oil paints to create wonderful textures on papers. Handmade Marbled Papers in a variety of colors and textures. Spotty Marble Prints are also quite popular with Scrapbookers. We are also manufacturing Gold , Silver Marble Printed Paper. Our Most Popular Designs are our Swirls on Marbled Papers. 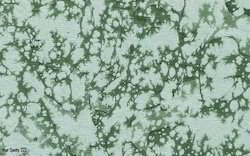 We are also manufacturing Spotty marbled Papers. We manufacture a large range of papers with Marbling. Our Hand Marbled Papers are Made in a variety of Styles, Colors and Patterns. Our Handmade Marbled Papers are available in sizes of 22*30 Inches We can also manufacture custom made Marbled Patterns.Marbled Papers are also manufactured in Various GSM’’s of Paper. Marbled Handmade Papers are used for Gift Wrapping, Making Bags and Boxes. We have also supplied Marbled Paper for Book Covers. Marbling is the beautiful art of playing with water and oil paints to create wonderful textures on papers. Looking for Marbled Handmade Papers ?